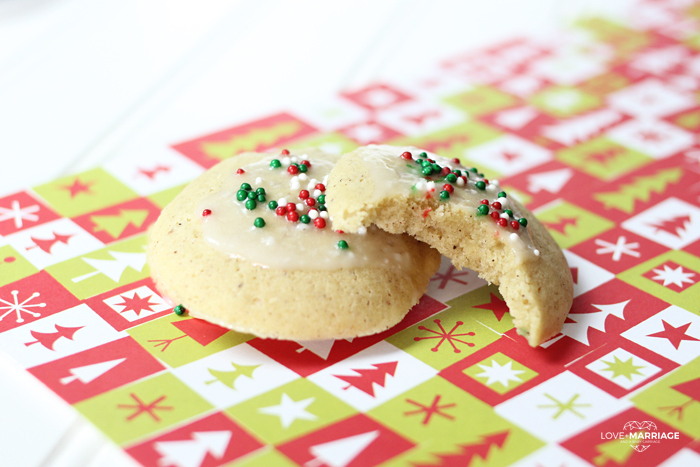 These Christmas Eggnog Cookies with vanilla glaze icing on top melt in your mouth. Now, before we go even one step further let me tell you that you do not have to be an Eggnog fan to love these cookies. No, not at all. In fact, I hate the stuff. But these cookies are absolutely delicious. They’re the perfect Christmas cookie full of the sweet flavor of cinnamon and nutmeg. It makes your whole house smell like the holidays when they bake in the oven. I love to bake but at Christmas the urge hits me more than ever. I love to spend time in the kitchen making sweet treats. Plus any time I can get my kids in their to help is extra special. 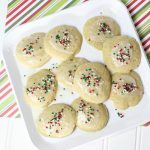 The vanilla glaze on these is a delicious recipe you can use on all sorts of desserts; cakes, cookies, brownies… You can also leave this step out for this recipe – the cookies are amazing alone – but they do add a little something extra tasty. These will be a great addition to your cookie exchange party or any of your holiday baking. If you try them out, let me know! In a large bowl mix together butter, brown sugar, eggs and vanilla. Once its creamy, add in the eggnog until combined. In a seperate bowl, stir together flour, baking powder and spices. Add in flour mixture into the large bowl. Scoop dough by the tablespoon onto a baking sheet lined with aluminum foil. Baking for 8 minutes and let cool before icing. Mix all ingredients together until creamy. 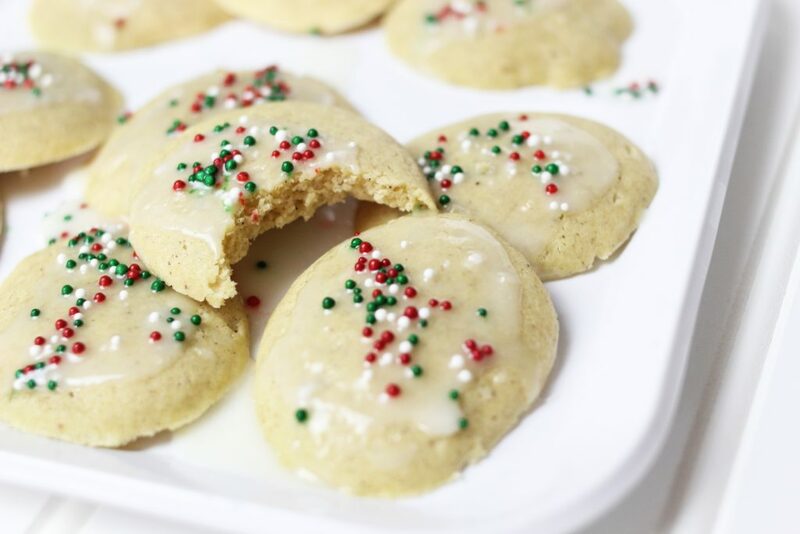 Pour icing onto cookies and add sprinkles on top.